I must admit that I'm a sucker for atmosphere. I'm not one of those wild about entering one large noisy room with little or no privacy for eating. Right away I liked that this one was set up in an L shape, and that there was plenty of decor and room dividers to help diners feel a little more intimate. They had a friendly hostess at the door and enough waitstaff to allow for good service, even on a Tuesday night. Our waitress was Erika. Our friends had been before, but it was our first visit. I was thrilled to see they had a separate bar area, quite a large room, that would do for happy hour get-togethers, small parties, or my own gathering of Wine Whine ladies that planned to visit soon. The menu was large, with photos, and served an array of appetizers, soups, salads, sides, stews, pasta, chicken, veal, beef, seafood, vegetarian -- even desserts. Most palates would be able to find something that fit their dietary needs. Our table ordered the Hummus appetizer, as well as Torshi, an eggplant dish. Not being a humus eater, my husband and I had several servings. We loved the creamy style that added tahini sauce within. We also had Loobia polo and Koobideh, Barg, and Lamb loin. The menu explained what each item was so it made it easy to choose. I tried a bite of their Adas Polo, which was a rice with raisins, lentils, dates and saffron and really liked it. I was eating beef tenderloin and a mixture of ground beef, minced onions and seasonings that had been skewered and broiled. You can order vegetables on the side, but your classic plate comes with meat and rice. They also have a full bar and kids menu. They do catering! All in all, our opinion was to return. Everyone was happy with their dishes. In fact, I was so happy I forgot to take photos. But don't worry - the menu has them. So, in short - if you're adventurous in your eating habits and like to try new - I think you will enjoy The Persian Room Fine Dining Room. Not too strong of flavors, it's a great "toe in the puddle" adventure into something besides hamburgers, pizza, and tacos out. Recommend. Anthony Bourdain said that Persian food was his favorite. And, I stand right next to him with that belief! It was fun to try new stuff, and it was much milder than I imagined. Post © 2019 Cara Marcelle Mancuso, Call a Marana neighbor, I'm THERE! 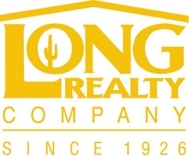 LONG REALTY (Long Realty - Dove Mountain, Marana AZ). Design © 2019 ActiveRain, Inc. All rights reserved, Inc.